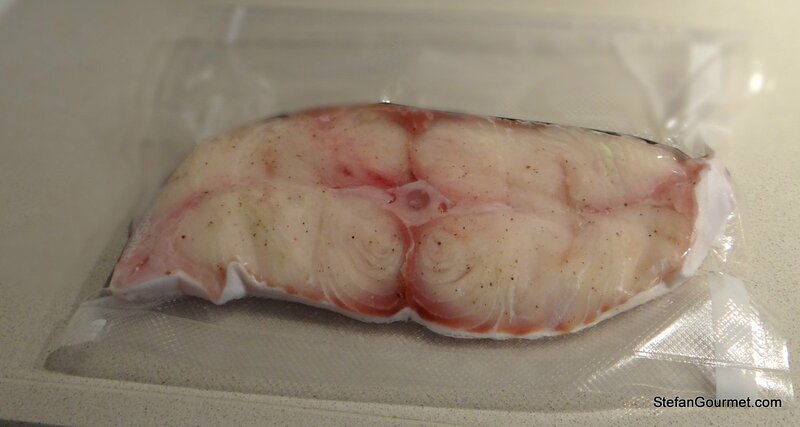 Halibut is not a fish that is easily available around here, and therefore I had not tried to prepare it sous-vide yet. So when I saw some at the market in Amsterdam I picked up a nice slice to try and cook sous-vide. Halibut is a flat fish like flounder, sole, and turbot, but it is a hell of a lot bigger so in most cases you don’t buy the whole fish but just a slice. I decided to serve it with a sauce made from white wine, fish stock, and cream. Served with potatoes and roasted vegetables it was a simple but nice meal, and it was no surprise that the halibut sous-vide was cooked to perfection: very succulent and tender. 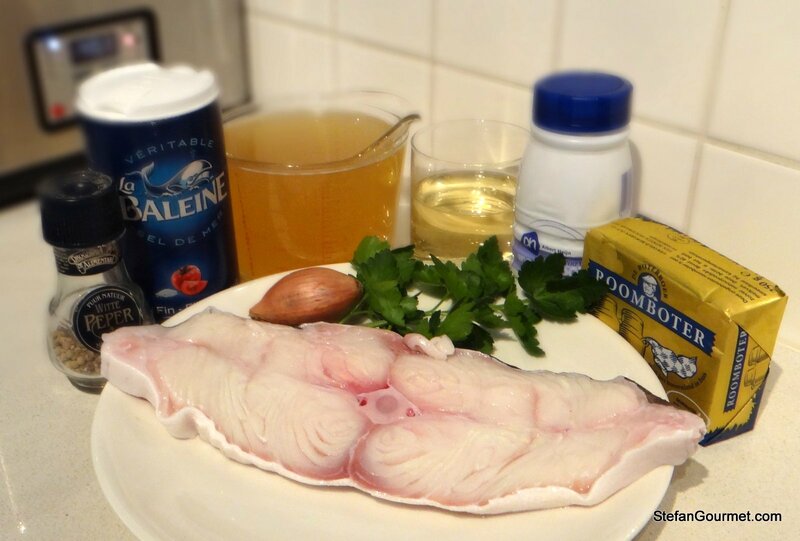 Wash the halibut with cold water and pat dry with paper towels. Season with salt and freshly ground white pepper on both sides. 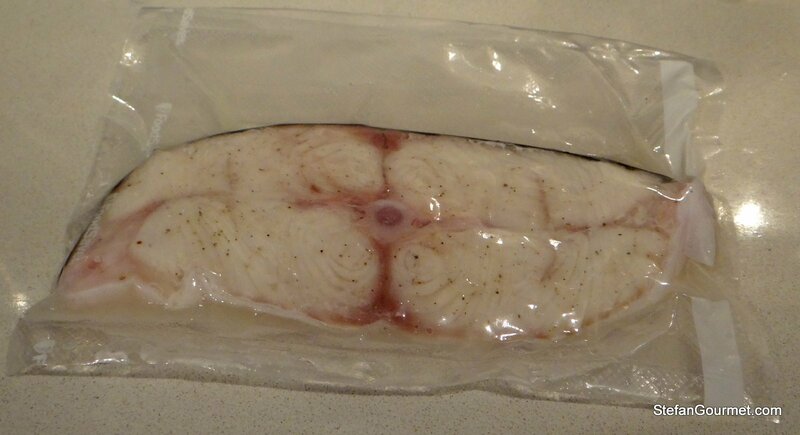 Vacuum seal and cook sous-vide at 45C/113F for 20-30 minutes, depending on the thickness of the fish. 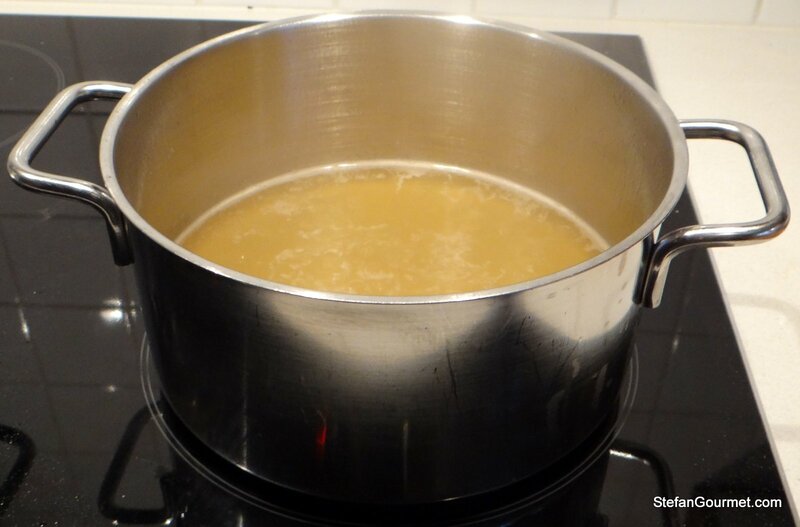 Meanwhile, simmer the fish stock until only about a quarter is left (125 ml or 1/2 cup). 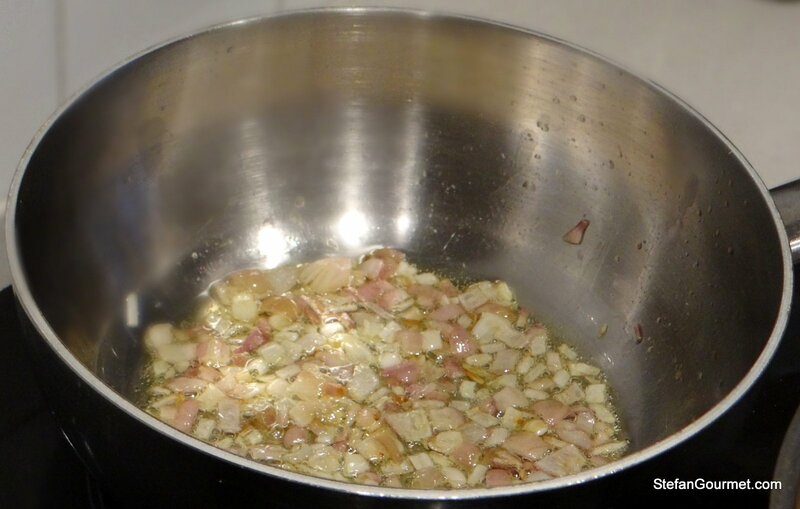 Sauté the shallot in the butter in a saucepan until it is golden. 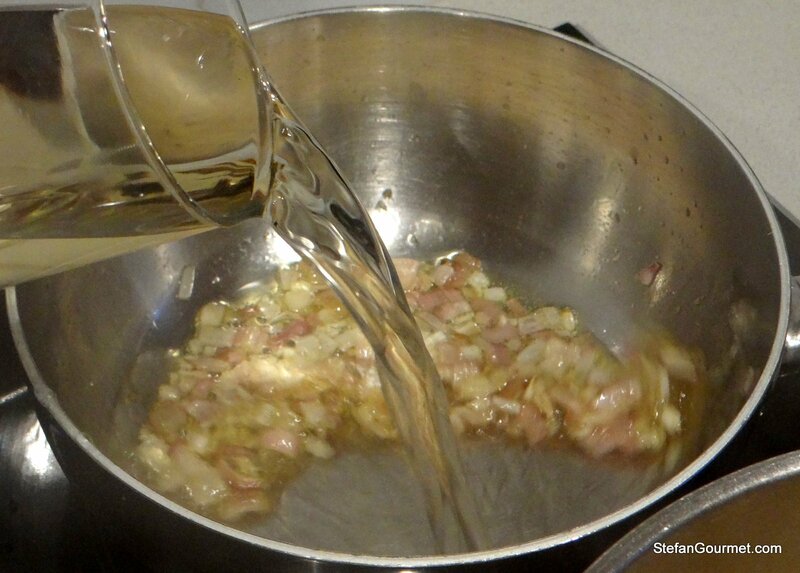 Simmer until the white wine has reduced to about half (60 ml or 1/4 cup). 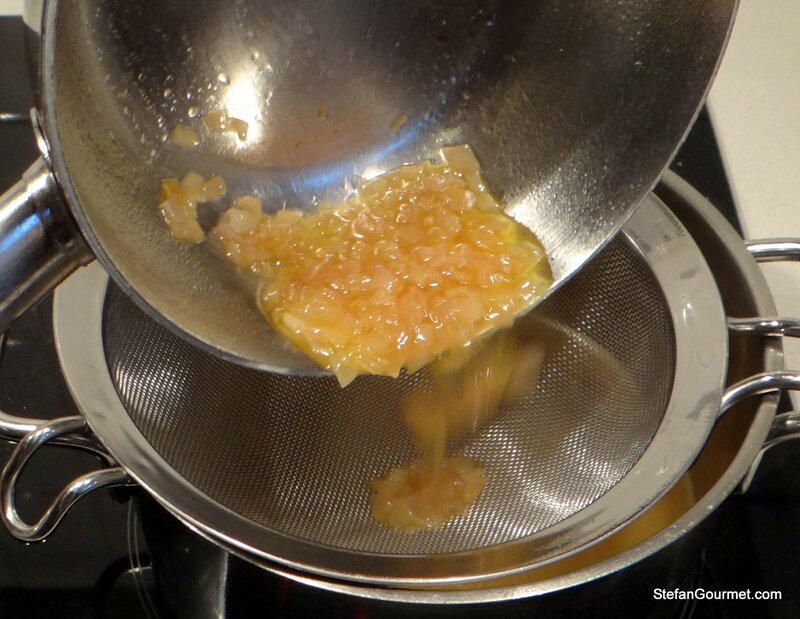 Add the wine to the concentrated fish stock, sieving out the shallots. 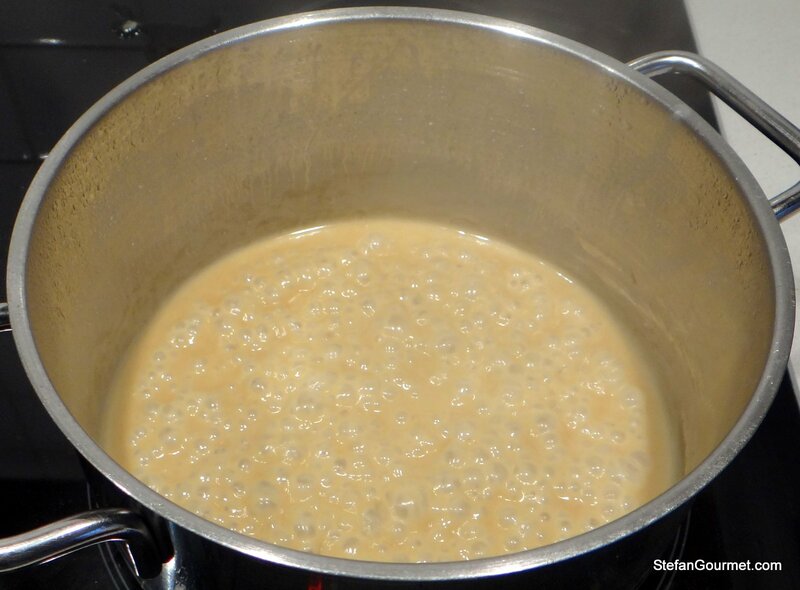 Stir and simmer a bit longer until it is nice and thick. Take the halibut out of the bag. 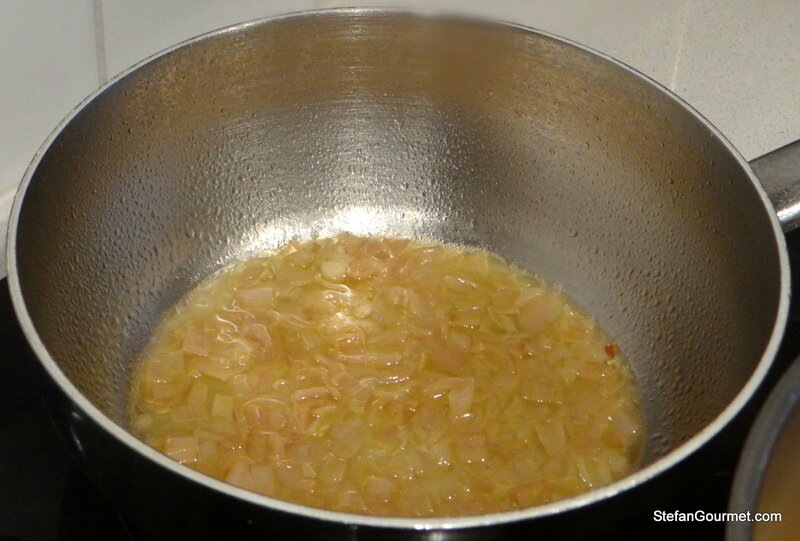 If you like you can add the juices to the sauce, but they will curdle a little just like with meat. 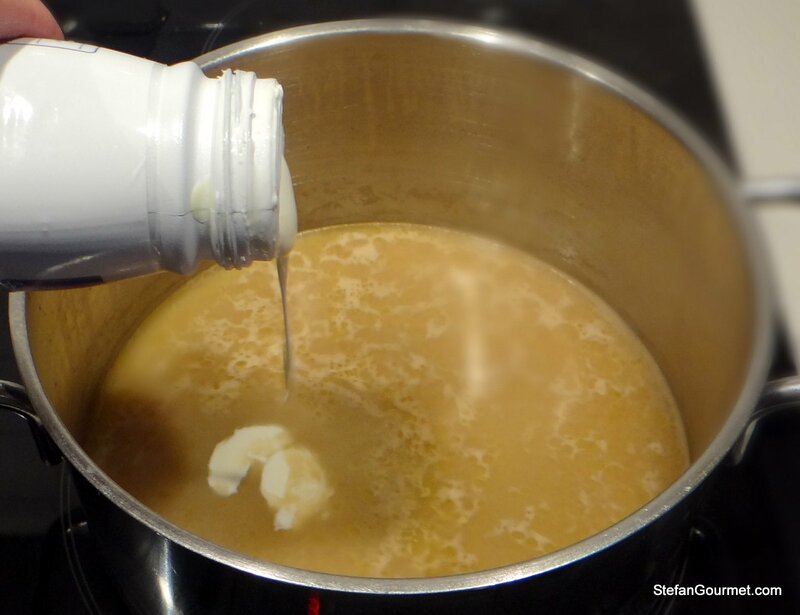 If you want to avoid that, heat the juices in a separate saucepan first until it curdles and then filter the curds out. Serve on warm plates with the sauce. Sprinkle with the parsley. I served the whole slice of halibut as a single serving here as it looked nice for the picture, but it really was enough for two. 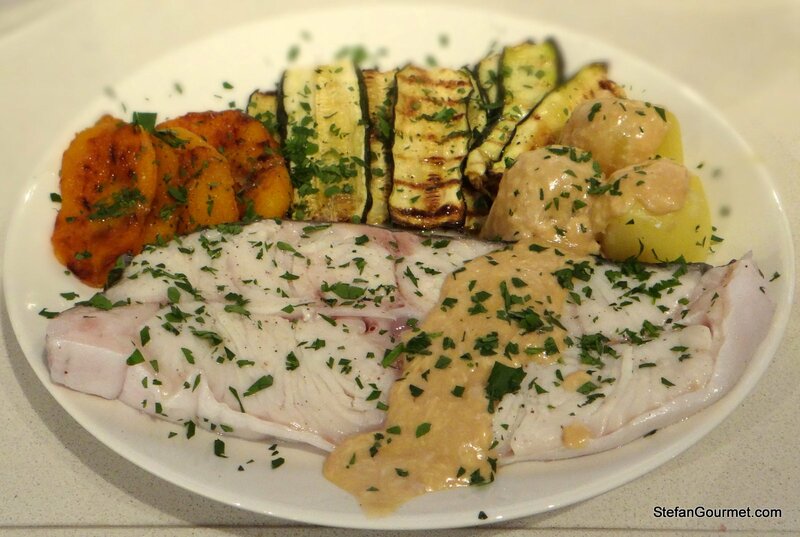 Using warm plates is even more important than usual in this case, as the fish has only been heated to 45C/113F! That is quite a huge slice!! Good to know!